« Great is the PNM. But will it prevail? 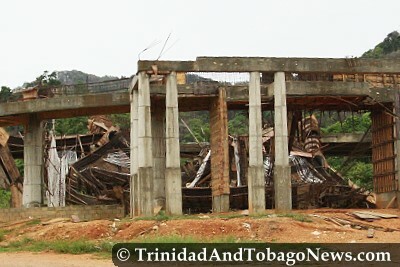 A fuming Ramlogan hit out at Acting Commissioner of Police (CoP) James Philbert and the Integrity Commission, both state entities which are constitutionally independent of the Executive, for their apparent failure to secure the site of the Lighthouse of Our Lord Jesus Christ church in the wake of reports of looting which dated back since early June. The church, up until that month, was being constructed by Chinese contractor Shanghai Construction Group (SCG) in the name of the spiritual adviser to former Prime Minister Patrick Manning, Rev Juliana Pena. Attorney General Anand Ramlogan and Acting Police Commissioner James Philbert yesterday traded angry words as issues over the controversial church at Guanapo took a dramatic new turn. ACTING Commissioner of Police James Philbert yesterday lashed back at Attorney General Anand Ramlogan accusing him of “contempt, disdain, bias and animosity” as he defended the police’s decision not to secure the looting-plagued site of the Lighthouse of Our Lord Jesus Christ church at the Heights of Guanapo. Guanapo worshippers: Why no action on looting? Church worshippers yesterday cried foul as looting and wanton destruction continued at the controversial incomplete Lighthouse of Our Lord Jesus Christ Church. Patrick Manning and his wife, Hazel, yesterday declined to speak about the looting, vandalism and destruction of the controversial Lighthouse Of Our Lord Jesus Christ Church at the heights of Guanapo. THE reported outrage expressed by Attorney General Anand Ramlogan over the lack of security at the controversial church construction site in the Heights of Guanapo appears misplaced. Mr Ramlogan had called more than a week ago for the construction materials at the site to be secured in the face of investigations into the project. Both the police and the Integrity Commission have launched separate probes into this project, the latter in response to a complaint filed by Devant Maharaj head of the IndoTrinbagonian Equality Council. The investigations arose from allegations concerning the involvement of State corporation UDeCOTT, its former chairman Calder Hart, and of former prime minister Patrick Manning. Again over the weekend, unauthorised persons moved onto the site, removing galvanised sheets and large quantities of steel scaffolding. ATTORNEY General Anand Ramlogan has expressed outrage over the alleged failure of the Integrity Commission to ensure that the assets of the Light House of the Lord Jesus Christ church located in the Heights of Guanapo in Arima, were protected from looters over the past few weeks. “Both the police and the Integrity Commission have launched separate probes into this project, the latter in response to a complaint filed by Devant Maharaj head of the IndoTrinbagonian Equality Council”. While they condemn the politics of race, they continue unabashedly to practice the politics of race, all be it camouflaged under “citizens rights”. Here, Devant Maharaj, a Hindu and unquestionably so is attacking the building of a christian church that is yet to be established as one being built with government money. Whilst the reporting staunchly suggest the building was not funded by religious means, the same sources have yet to provide confirming evidence that government funds were the main means of funding. Because of as yet to be verified use of governmental funding the Devant and Sat Maharajs are either out of place, religiously biased or racially biased or all of the above. Because he carries the title of AG one has to assume that Ramlogan is being “objective” in this matter (wink, wink). Why is there such a strong sense that activists who were closely tied to this administratiion are not leaving law enforcement to be conducted by the police, evidence gathering to the investigators and justice to the prosecutors? It seems to me that interference by private and religious individuals can do more to harm the outcome than any good to merely satisfy the thirst for revenge by them. Surely there is more than a slight tint of religious and racial intolerance. “Again over the weekend, unauthorised persons moved onto the site, removing galvanised sheets and large quantities of steel scaffolding”. Whilst the reporting might rightly suggest that those taking things away may not be authorised, can they say with conviction who is authorised? Here is an example of a “diatribe” rant. Of course the AG have a right to say to the CoP that he should secure the site since it is under investigation. It has material evidence. Nobody knows who is funding it, who is the owner, how they came about $25 million. All these questions need to be answered…. When evidence is tampered with there is no case. The unfinished dome of the controversial Lighthouse of Our Lord Jesus Christ at the Heights of Guanapo yesterday came crashing down injuring a 30-year-old man who was in the process of removing construction materials from the site. Whilst this is an opiniated column with vast and varying degrees of commentary, we sometimes need to hear and learn things in order to offer an effective opinion so as to contrast with others,in this respect I think I need to knnow from those who are better informed, this question, what act of parliament gave the Integrity Commission the authority to function as a police unit, force or empowerment to act as such? I say this becaause Mr. Ramlogan continues to insist that the Integrity Commission is responsible for the security of the Church in Arima. It would seem to me that the IC has no powers to enforce anything. They might be called upon to offer or interpret policy in dealing with behaviour in matters involving conduct of public officials in the course of their official duties. Mr. Ramlogan is yet to take responsibility for anything since assuming the post of Attorney General. First, he referred the matter of public integrity in the Jack Warner holding two public jobs to four attorneys to comment on the morality of this matter before stating his verdict. In the case of Ish and Steve where the Court Of Last Resort ruled against them, he askem to write him a letter stating why they should not be extradicted to the United States, most people suspect that this is delaying tactics but Mr. Ramlogan continuyes to play around with the law. Thirdly, he asked the IC to rule imediately on the Rowley’s interpretion of Jack’s jobs and when they did he criticised the quickness of their response. Fourthly, he waved the flags of Manning’s Supposedly involvement in the building of the Church and when he was asked to lead in stating policy, he said that his hands are tied because it is the IC or Police or someone else responsible (not him) for securing the premises. His politics promote that the building of the church is government funded and therefore needs governmental action, his official response is that this is private property which is beyond his reach as AG so the Police or IC has to take the lead. Does this strike anyone as a man who knows what he is doing? It seems to me that while this performance might suffice for the people of Penal and Barrackpore, it is not convincing to the national audience to have confidence in a man whom the current administration hoped would perform as Ramesh Maharaj but whose ability falls far shoret of that which Ramesh is famous for! How long must we stand silently and watch this clown of an AG acting in a manner which places everyone else responsible but himself? Kian, you are a boss!! As a second year law student, I look at this guy`s actions and comments as far as law and policy is concerned and so far he is a total failure, all he does is beat his chest, talk a lot of crap and continually sidesteps the issues, he thinks he alone knows the law but you take a look at the cases he has won and they are all crap cases, I cant wait to finish my law degree so I can go up against this fool in a court, he clearly does not know his stuff and is grossly overrated..
Lastly no matter what, Ish and Steve have to go to the US and make their jail, he cannot stop that!!! As a second year law student, I look at this guy`s actions and comments as far as law and policy is concerned and so far he is a total failure, all he does is beat his chest, talk a lot of crap –KingofKings. The people of Penal and Barrackpore? Are they not part of the national audience? Stupid. I tell you fellow nationals , there are three guys in this new ‘political power grab team,’ that if given the opportunity , I would enjoy punching in the face, and this Anand Ramlogan character leads the bunch. Stay tune for the others , as they eventually decide to raise their ugly heads.Don’t worry Mr Commissioner, even if you are soon replaced by some white , clueless, foreigner, there is work to be done in the interest of the state, and true justice, despite the efforts of conniving barbarians, hell bent on overrunning the gate. It is said , in the words of an extremely wise lady, long since dead and gone ,that “night could run as much as it wants, but day will finally catch up with it.”I am almost certain , that just like certain unmentionable predecessors, he would expose himself , or some loose end would evolve ,that would finally prove to the world what a pompous ,corrupt, and immoral fraud , this AG is. May lifelong patriots always prevail. I would not be surprised if the Police is also involved in the removal of materials from the church site.I have personally had to “pay” police to protect a property in my absence. The lack of action by the COP is only one example of government officials intentionally attempting to frustrate the efforts of the new government. The firings should begin sooner than later. No TMan, you did not have to “PAY” the police. And how does one even approach ‘the police’ for ‘paid personal service’? In my book it’s called bribery..
Me eh know nah boy, maybe it’s the way I was raised, but I would not even think of such a thing. It’s people like you that makes things difficult for people like me. The above comment showed your true colors.Since the victory of the PP, a number of blindsided, loyal PNM supporters have been savagely and indiscriminately attacking the new PM and government for every move or announcement. This “sour grapes” bunch seems to stop at nothing in their quest for some sort of personal or psychological satisfaction in the face of defeat. Many frequent this website with their version of the facts, attempting to rationalize their skewed thinking or to justify their flawed perceptions with references to frequent criticisms of Manning and the previous government. The question is: what’s motivating this fountain of premature and irrational discontent? TMan I make no apology for my statement. While it is the responsibility of the government in power to appoint an Attorney General, it is nevertheless a national appointment like lets say the Chief Justice or Solicitor General or something like that. It is not the type of job that one gets into and act as though he still on campaign grounds. He is now representative of all the people and his behaviour must reflect this. To thrash everyone who do not do his bidding publicly is not evidence that this man – nRamlogan knows what he is doing. You seem to allude that my statement is a bunch of lies – maybe you can enlighten me by pointing them out! Your racist diatribe is just that. You obviously received a good academic education but as with most of those who shares the tribe you belong to can never stop bringing up RACE. Check my blogs and how many times I bring up the words Indian, African, Europeans etc? I am a Trinidadian and my first obligation is to Trinidad and Tobago, racial or party identification has nothing to do with my love for my country. I was happy to see Manning go but I will not sit idly by and watch those who replace him bring the reputation of my country down. You and I can be at the same level when we speak as “Trinidadians” but as long as you and Ramlogan talk racial and geographical I must defend the history and reputation of my country. Ts steal a quote from my friend Neal “Country first”. T-Man are you still sipping that stupid Canadian Maple leaf syrup ,and illegal Manzanilla Bush Rum -the latter of which you repeatedly smuggled into Toronto yearly- due to your addiction? For how else can one justify your , unfounded and laughable conclusions my friend. Who here is savagely attacking your PM , may I ask? I personally gave nothing but praise to this refreshingly ,astute national leader-who happen to be female- for being able to lead a well orchestrated attack to eventually defeat two stalwart political dynasties, in the PanMan families, while keeping the egos in check of powerful , and equally ambitious supporters , that in time might still gun for more than her juggler. Now since her party was able to achieve this victory without even articulating a single policy of worth for the benefit of voters , many rightly claimed the victory was more a slight chiding, and condemnation of the PNM , and it’s misguided , delusional ex leader ,this time around, as opposed to some whole-scale endorsement of her, and party. Therefore we admonished you and other Johnny come lately country adorers, to save some of your euphoria for more appropriate occasions . Please T-Man you do not really think that patriotic Trinis, are running around worrying about Indian government , like those idiots in neighboring Guyana , do you?No my friend , it is you and others who forgot how you obtained power , and the fact that this is a multiracial …..new government, just like in 1986.You still don’t get it do you , that no matter how many babies you force poor desperate folks within the tribe to make , or planes you charter to return home and vote come general and local election, victory can only be obtained when the African folks extend their votes to you, in similar fashion to what was done in the previous 200 elections by fellow Indo nationals, when the PNM were repeatedly victorious. Promise me to spend a bit of time and read a few of the columns of cousin Sean Douglas of the Newsday. Although a hash critic of the mainstream , complicit corporate media myself, I must admit to finding his articles to be quite poignant, illuminating,balanced, in addition to being well researched, and so ,have been reading them with some interest. It might save you from coming to some of the erroneous conclusions you tend to revert to as cheerleader of the ever encroaching ,barbarian bandwagon, my friend. He said , “…there is real fear that the new government will alter the international image of T&T by appointing Indians to represent the country internationally? This is certainly past ridiculous , and does not even warrant a response, except to say I have warned you guys , driving on this here information highway,about the unapologetically ungrateful, “me, me, gime, gimi, dog with a bone , selfish , gang,”that permeates the fabric of our society for too long. It is to be hoped that the Parliamentary approval of the choice of Dwayne Gibbs as the new commissioner of Police of Trinidad and Tobago would end the extension after extension of an acting commissioner of police. We regret to say that the only acting in the case of James Philbert was in his title. NEWLY-ELECTED president of the Trinidad and Tobago Police Service, Social and Welfare Association (TTPSWA), Anand Ramesar, has slammed Attorney General Anand Ramlogan for his scathing attack against the office of the Commissioner of Police. He is also calling on Ramlogan to retract his statement and apologise for the incident. ACTING Commissioner of Police Stephen Williams, who is deputising for James Philbert who is out of the country for the next six days, yesterday said he has ordered police to pay surveillance at the construction site of the Lighthouse of the Lord Jesus Christ church at the Heights of Guanapo starting from yesterday. Police moved in at the Heights of Guanapo yesterday, arresting three looters at the Lighthouse of the Lord Jesus Christ church. Opposition Leader Dr Keith Rowley is demanding that Attorney General Anand Ramlogan issue a public apology to acting Commissioner of Police James Philbert. Asked specifically if the AG might have crossed the lines in his utterances, Persad-Bissessar said she was “not of that view.” “Perhaps I would have said it in a different way, each person has a different manner of expressing themselves…I may have done it differently, but I am not of the view that he had overstepped,” she said. She also hinted that Philbert may have to take some blame for the situation. Although I agree that the new AG is acting like a brash young man and is having difficulty controllong his mouth, he did get results after his tirade. People are now being arrested for stealing at the church site. Kian, I am sorry to deflate your pride , but the international reputation of “your country” is already down. Although you do not overtly express your racial biases, implicit in your language, references and conscience are ideas based on race.That “Penal” reference is clearly prejudical. You people have been getting away with this garbage for too long. I am clearly getting the impression that you PNMites cannot take the pressure although you like to hand it out. The reference to Penal is not prejudicial, it was used in a geographical sense to indicate that Ramlogan was using his powers to appease those whom he thought might be cheerleaders to his behaviour. Although I have never in my life been or belonged to any political party you have ostensibly made me a “PNM”, if that label is to denigrate my opinions then I take pride (with the label). That will NOT stop me from calling those who step to pull wool over my eyes out when I see wrong being done. You might take pride in Ramlogan’s brash behaviour and think he is serving you well and that is fine for you, but from my experience there has never been an AG who is so careless with his behaviour and that can cause him to loose sight of the bigger picture (which is conviction).Justice must nopt only be done it must also seem to have been done. So while Ramlogan is looking for a cheerleading crowd to support him, It would be better for him top be concerned about the gathering of evidence than ranting and raving like a cowboy. You, Curtis and others are in effect sounding your own horns to make you all feel good about yourselves. The fact that the PP won the elections is NOT in my opinion good enough for me to accept everything they do, no matter how much wrong they may have done it in the process. They too, must show that they have respect for the law no matter how embarrassing it might seem at times. Democrccy is NOT a spectator sport and while I’m in the audience,I will call them out. Ramlogan is representative of a leadership style which is needed in T&T if anything is going to be accomplished.Philbert is a PNM agent who is unwilling to accept new leadership.Often people like that must be shocked into reality. There are many destabilizers in various government jobs who are overtly or surreptitiously using their positions to frustrate the efforts of the new government.The firings should begin sooner than later. Kian, it is possible to have a candid conversation about race without being racist.There are many who advocate strongly for their particular ethnicity without negative racial feelings towards any other racial group.One of the concepts some people of T&T do not fully understand is that uplifting one group does not necessarily mean putting down another group.Advocating for the civic and constitutional rights of one group does not automatically translate to the removal or denial of rights to others.It is a concept which successive PNM governments and in particular, some PNM Ministers failed to comprehend. Take what pressure. We have been taking pressures for more than 4 centuries in every part of the western world. Your problem is that you expect every black man or woman to succumb to the cool aid in order to justify your sense of triumphalism. A coalition of two Indian Political Parties and a smattering of token black faces is not exactly representive of diversity. It night be to you Tman, because you are cutlurally tuned to see this kind of imbalance as ideal. However, that cockeyed prism id subjective, and will not be adopted by most of us who are compos mentis. TMan, you are correct that we can engage in conversation about race without being overtly racial. In Trinidad & Tobago people have more in common with regards to their standard and condition of living than with self identity of race and religion. While it might make you proud to have been the product of people who toiled in the cane field, cocoa land, lagoon or other demeaning conditions of growth. It might make others feel equally proud not to have the whips across their backs or toiling in the hot, hot sun cutting cane with no remuneration for their labour. There is definitely differtences in the history we share and what make us proud of what we have had to overcome to get where we are today. There was once a time when Indians could NOT legally marry in their traditional ceremonies and have a marriage certificate issued by their pundit. And that was NOT done by the PNM. If anything the PNM did everything to legalize the practice. You and I see the rains of power as the the attainment of our ability to achieve. You see the PNM as your obstacle to getting there (real or imagined), some may not share your view but it does not in itself make those who dont share it racist. You obviously are happy to have people of your tribe holding positiopns of power that here-to-fore evaded you but to rub that in the face of the vanquished is like asking for war. Because the vanquished have as much pride as the victors. Yeah, the firings (read ethnic cleansing) should begin sooner or later. You guys are so damned predictable it substantiates the conclusion that Warner et al are either stupidly naive, or corruptly ambitious. The racist in the PPP of Guyana made the same recommendations after that party came to power in 1992, and it saw former gardeners and poster distributors of the PPP bigwigs becoming Ministers and Permanent Secretaries. Most of them could not even spell their designations, and hardly knew what it meant. T&T welcome to the Guyana experience. I sincerely hope that the people of T&T do not divide themselves into two “tribes” : the victors and the vanquished.The wave of optimism and hope which has been awakened in many is not based in some sort of tribal dominance, but on the promise of fair governance, prudent fiscal management and ethical practices. There are many who reject the narrow focus of the UNC,but willingly accepted the big tent of the People’s Partnership.The PNM’s sense of entitlement as displayed by Manning, and the PNM’s belief in their divine right to rule T&T in perpetuity are both distasteful characteristics which were soundly rejected. Attorney General Anand Ramlogan dealt with this matter badly. He apparently does not know how the chain of command works. The person he should have communicated with was the Minister of National Security John Sandy and let Sandy deal with the police. Or he could have held a private meeting with the Commissioner of Police to find out the reason for the police’s inaction. I also do not accept the Acting Commissioner of Police, James Philbert’s argument that they could not stop the looting because they could not identify the owner of the church. The PNM government granted the land to someone, so that person should be considered the owner of the structure. Even if they cannot locate the owner, the police could have stopped the looting and secured the site. It was widely known that the site is under investigation. If the Integrity Commission did not request the site be secured then they too acted badly. Many believe that Philbert was closely aligned to the PNM so they suspect that he may have been acting as an agent of the PNM in allowing the church to be looted. He also appeared to be dragging his feet in the investigation of Calder Hart. While I understand the frustration, Anand Ramlogan should have dealt with this better. PS: There are a lot of PNM officials in positions of power today who supported the squandering and, I believe, outright theft of our resources. The new government is right to remove them. Nuff said on this matter. 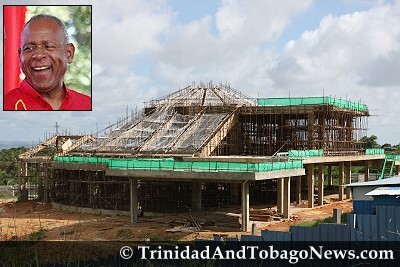 Udecott has been given a 14 day deadline to submit all vital information on involvement by former Udecott chairman Calder Hart in the construction of the controversial $30M church in the Heights of Guanapo. From the safety of the Jesus The Light of this World Ministries church yard, evangelist Shirlain Fermin and prophetess Cindy Blanc looked on in horror as the Lighthouse of the Lord Jesus Christ church, at the Heights of Guanapo, Arima was further desecrated on Wednesday. SOLDIERS assigned to the Trinidad and Tobago Defence Force (TTDF) are expected to take control of the remaining assets at the controversial church at the Heights of Guanapo in Arima,until the owner of the property comes forward to claim the items. The People of T&T have been two tribes since Basdeo Panday took the reigns of Government and established an order that we see in Guyana and Fiji. The idea that the proof of their togetherness is the election of an Indian into office is insulting to African Trinidadians. Still, you cannot change mental formulations that are cemented in the psyche. The idea that a predomonant Indian power structure is the ideal form of Government for T&T is clear evidence of a mindset steeped in an ethnic right to rule. There is nothing in the history of the PNM that comes even close to this kind of reasoning. TWO VALENCIA men were fined $3,000 each after they pleaded before an Arima magistrate to the charge of unlawful possession of construction material from the Lighthouse of the Lord Jesus Christ church at the Heights of Guanapo. Attorney General Anand Ramlogan is not about to apologise for statements he made against acting Commissioner of Police James Philbert last Thursday. “Unfortunate” is how Prime Minister Kamla Persad-Bissessar chose to describe the manner in which her Attorney General, Anand Ramlogan, sought to engage Ag Commissioner of Police James Philbert over the non-action of the police on the looting at the Guanapo church. It is an unhappy blemish on the record of James Philbert, four decades in service, two years’ acting as Police Commissioner, that publicly recognised wrongdoers were arrested, charged and punished only after he turned his back. This, however, is how Mr Philbert’s career is liable to be remembered, following his astonishing rationalisation of police failure to interdict the unauthorised stripping bare of the Guanapo Heights church construction site. Notwithstanding the slow withdrawal from public life by Patrick Manning there are many more mysteries with respect to the Guanapo Church that remain entirely unanswered. Recent events have only served to deepen the mysteries, but it is to be hoped that at some point in the near future all our questions will be answered. The facts that police officers secured the Lighthouse of the Lord Jesus Christ church immediately following Attorney General Anand Ramlogan’s eruption at outgoing acting Police Commissioner James Philbert, and that those officers arrested two looters who pleaded guilty as charged, do not vindicate the AG. ACTING Commissioner of Police James Philbert says the police have encountered some difficulties in locating Reverend Juliana Pena, as officers proceed full speed ahead with their investigation into the funding and construction of the controversial Lighthouse of Our Lord Jesus Christ church at the Heights of Guanapo in Arima.